If you’ve found yourself or know a loved one in a serious semi-truck accident, you likely are already dealing with a bunch of different worries. Medical bills, lost wages and pain and suffering make these accidents some of the worst. Since semi-trucks can weigh up to 150,000 pounds, these accidents are often debilitating and leave victims with life-altering injuries. Dealing with the insurance process is probably the last thing you want to do. When filing a claim after a semi-truck accident, you may run into some roadblocks from the trucking company and its insurance. Being prepared and knowing what to avoid can be extremely helpful in recovering the best possible settlement. Hiring an experienced semi-truck accident lawyer is an important first step in protecting yourself. This is when having the right semi-truck attorney on your side can be beneficial. In these accidents, insurance issues can be very complicated and difficult to comprehend. Here’s an example attorney Chris Davis – founder of Seattle-based personal injury law firm Davis Law Group, P.S. – has encountered. The driver of the semi-truck has one form of insurance, while the contracting company has another. 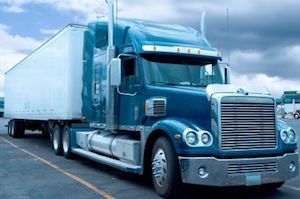 The leasing company for the semi-truck has its own policy, while the truck, trailer and cargo each have their own policies. Additionally, semi-trucks usually travel all over the country, so your attorney is likely dealing with insurance agents from multiple states. The different insurance companies will try to shift the blame. It can be a massive headache, and one that is best left to a semi-truck attorney. 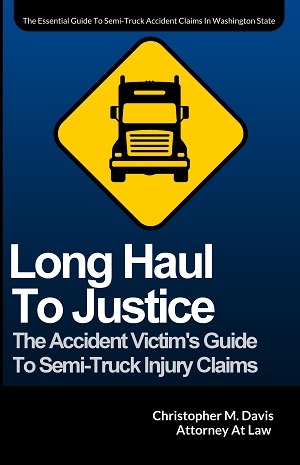 This is an all-too-familiar experience for victims of semi-truck accidents. These cases are extremely costly for trucking companies and their legal teams, and their primary tactic is often to offer lowball settlements immediately after the accident. These companies know these offers are likely unfair for the victims, but getting them to accept less is a common strategy. Unfortunately, victims with mounting medical bills that have missed extended periods of time from work are desperate for any money they can get, and some will accept these offers. The reality of semi-truck accidents is that the injuries suffered often don’t manifest themselves until later, meaning any settlement accepted won’t cover the cost of treating those injuries. It’s paramount that victims don’t buckle under the pressure and accept these quick offers. Hire an attorney ASAP and get someone to fight for you. Semi-trucks and trucking companies must abide by a variety of state and federal regulations, in addition to local traffic laws. For this reason, determining fault after the accident and what laws were broken can be difficult. Safety regulations and driver protocols must also be followed, and only the right semi-truck attorney will be able to identify these issues. Experienced semi-truck accident lawyers know exactly what information and evidence to look for after an accident. Determining fault often depends on the evidence, and the collection of the evidence must be done with careful detail. Time is also of the essence, as rain, wind and dust can destroy crucial parts of the evidence. Mr. Davis and the semi-truck accident attorneys at Davis Law Group can help you get the compensation you deserve for your injuries. Your first call to us will not cost you a dime, because we offer free case evaluations. If you live in Washington State and have been injured in an accident involving a semi-truck, big rig or 18-wheeler, please contact our law firm to learn how we can work for you. We only charge if we get money for you. If you or a loved one has been hurt and you need help, please call (206) 727-4000, use the chat feature below or fill out the form on this page.